Introducing the new standard in out-patient drainage, the ASEPT® Select Drainage Kit offers patients the benefit of both gravity and vacuum drainage. The vacuum provides the patient efficient and effective fluid drainage, while gravity helps the patient have a more pleasant drainage experience. Color coded slide clamps allow the patient to switch from vacuum to gravity during the procedure at any time. The ASEPT Select Drainage Kit can be used for both chest and abdomen drainage in the out-patient setting. 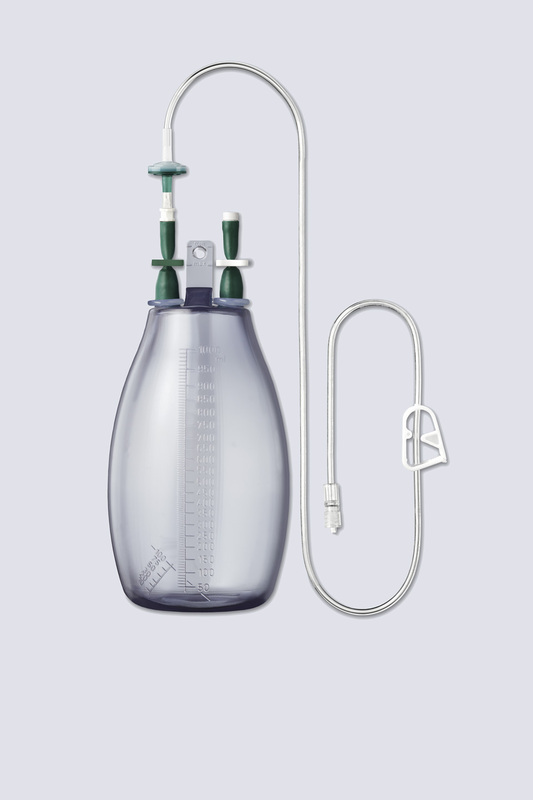 The pfm medical ASEPT® Select 600ml and 1000ml Drainage Kit is intended to be used to connect to the ASEPT® Pleural or Peritoneal Drainage Catheter to drain fluid from the chest or abdomen.